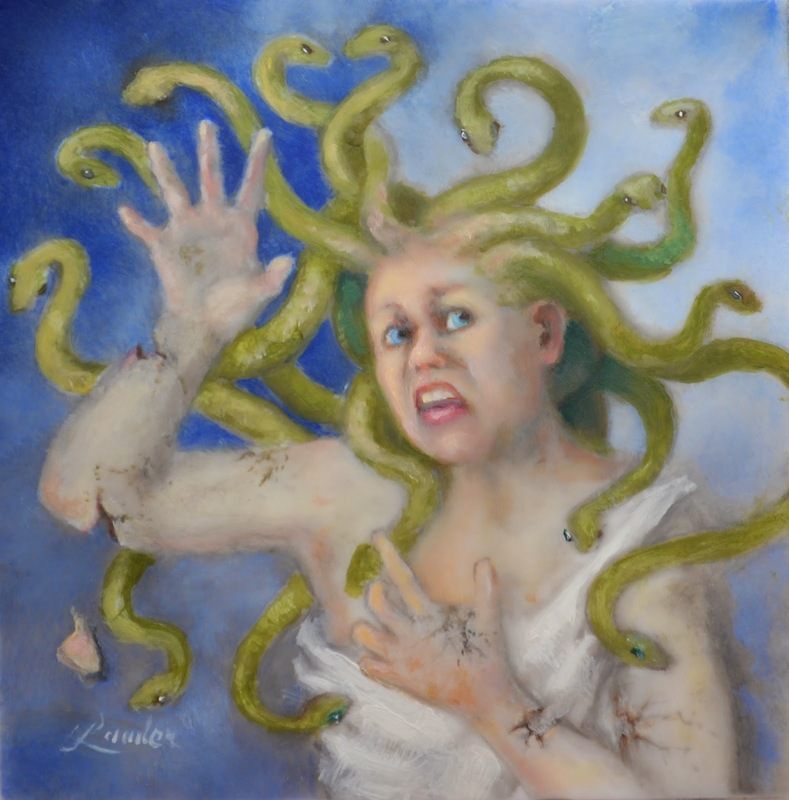 My tiny 3 inch x 3 inch painting of Medusa will be heading out to Spectrum Live shortly. It has been included in an exhibit hosted by Jon Schindehette and The Art Order. She is a tiny derivative of the much larger Medusa completed a couple years ago. I now live near Winchester and the countryside is awash in apple blossoms. Everywhere you look, it is pink and green. Apple Blossom Festival begins this week. My classes with SmArt School instructor, Donato Giancola are coming to an end. Two more classes to go. I am back from the Portrait Society of America Conference and ready to resume the blog. I am a bit tired, but I returned to the wonderful news that my tiny painting, "Vanitas #3, has received an award at the miniatures show at Parklane Gallery in Kirkland Washington. 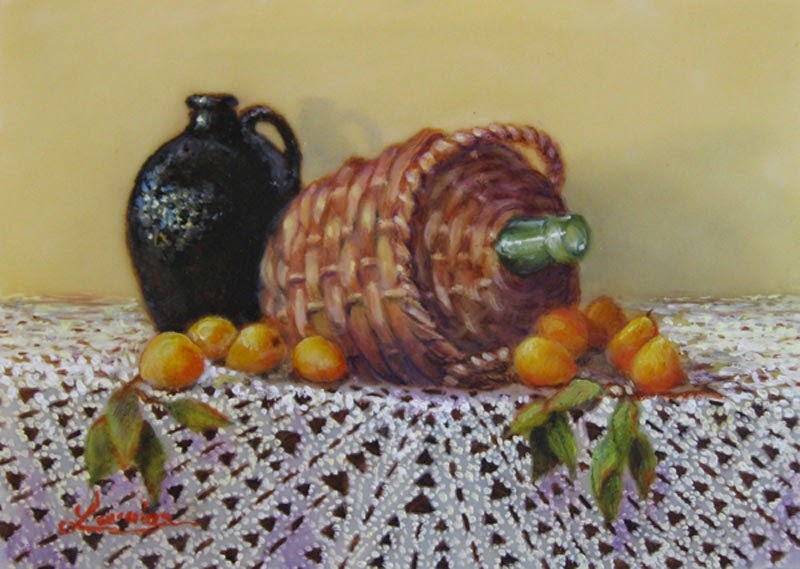 The painting measures 2.5 inches x 3.5 inches.